Well I've been hard at work chugging away at The Book for AGI. But since I submitted the second chapter to layout (of 22) I decided to reward myself with some studio time. It was a glorious day. The pendant is probably the most obscure design I've yet created - the texture is actually a contour map of the highlands of Mars. 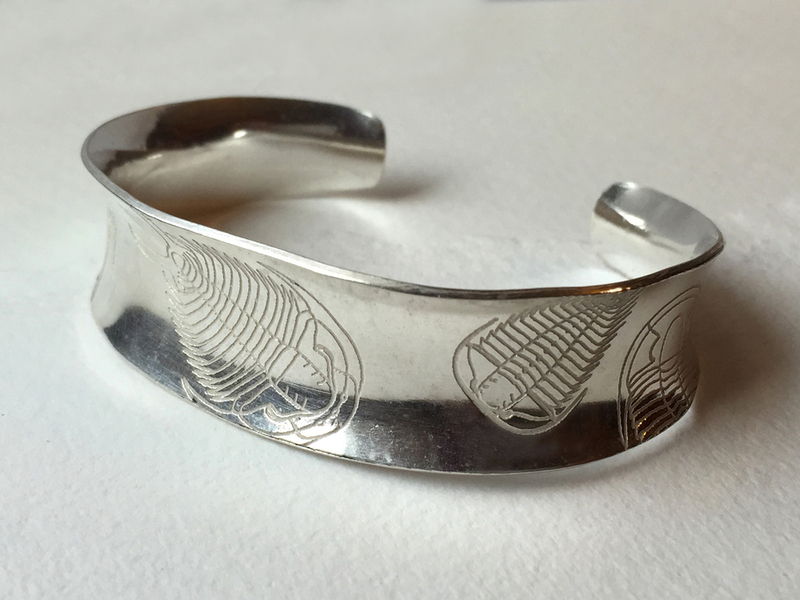 The cuff is a repeat design on thicker gauge silver - what a beast! Hand forging the shape was a challenge but the etch was deep enough to survive the onslaught. I've finished it to a high shine and did not oxidize the etch. So far I'm pleased with the effect.